With the merry-go-round of brewmasters in B.C. and the ludicrous number that open annually, every year there seems to be a new one that flies under the radar while producing excellent beer. Backcountry Brewing is that brewery among the public this year, but there’s a reason it got plenty of plaudits at the 2017 B.C. Beer Awards: for a place this new, there’s a surprising maturity to their efforts. Let’s talk about their space in Squamish first, because it does set the standard for a location in an industrial area: gorgeous with a good layout that feels open and breezy, not unlike the summit of the Chief. The staff are friendly, the food is good, and the space reflects the region well: an industrial, casual space that attracts outdoorsy folks still high from hiking/paddling/climbing/whathaveyou. Of course, a good space only contributes so much to a brewery, but these are good beers. Their A-game is hoppy beers that are very approachable — though they are best enjoyed fresh in person, as they lean on green flavours. The Widowmaker IPA, once widespread, will deserve consideration in the Mount Rushmore of BC IPAs (next to Red Racer/Fat Tug/Twin Sails Of Your Choice), though its unusual mouthfeel was divisive though, being both praised and compared to watery Mountain Dew. The Double IPA isn’t just swimming in bitterness and the Pale Ale has unexpected depth and brightness. 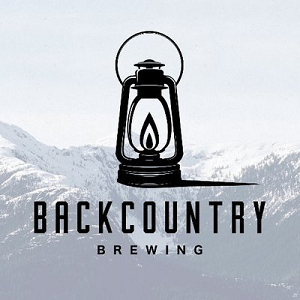 They aren’t styles that make beer enthusiasts run to the hills, but Backcountry does them well, and in a market that has less of a history with craft beer that’s an important thing. Beyond that, the Funk Barrel Sour is pleasing and very refreshing, Bambi’s Backhanded Weizenbock is a good take on an unusual style, and the Breakfast Stout worked surprisingly well as intended. There aren’t an incredibly array of styles represented yet, but that’s common for a newer brewery — and everything that’s on offer is good. Backcountry may just be a year old, but it’s thrown down the gauntlet for Sea to Sky. Whether you live in Squamish, are there for a day trip, or on your way to Whistler, we’re all better for it.